One of the special occasions that takes place every year at the fabulous Chatsworth Estate is the Country Fair. This year (2018) the 37th fair it was held on Friday 31st August, Saturday 1st September and Sunday 2nd September, and whilst we would have loved to have attended each day, we visited this year on the Saturday embellished with an enjoyable stay at one of the Devonshire Arms. I have prepared a slideshow using a selection of my photographs taken that day giving a sample of the many and varied events we were lucky enough to see and enjoy. The Fair is a huge event with an amazing number of attractions and activities, all of which are so well organised and coordinated. In fact, there were so many things going on and so many trade stands and we have decided that next year we will spend more than one day at the Fair. As well as fairground rides including a magnificent traditional roundabout and classic helter-skelter, there are many opportunities to participate in everything from fishing to crossbow shooting. The Trade Stands provide the chance to spend some money on country clothing to Camper vans, and, not surprisingly there are copious chances to sample a great range of foods and drinks, from pastries to Prosecco, cheese to chocolate. As well as being well fed and watered, and irrespective of your desire to participate (or watch your dog participate in agility trials and scurries) it’s also a great event to just sit and watch the brilliantly coordinated schedule of displays and events in the Grand Ring. It’s particularly good to do this from the Members enclosure but the quality of the events and the skill of the organisers means that there are so many great vantage points in this fabulous location. 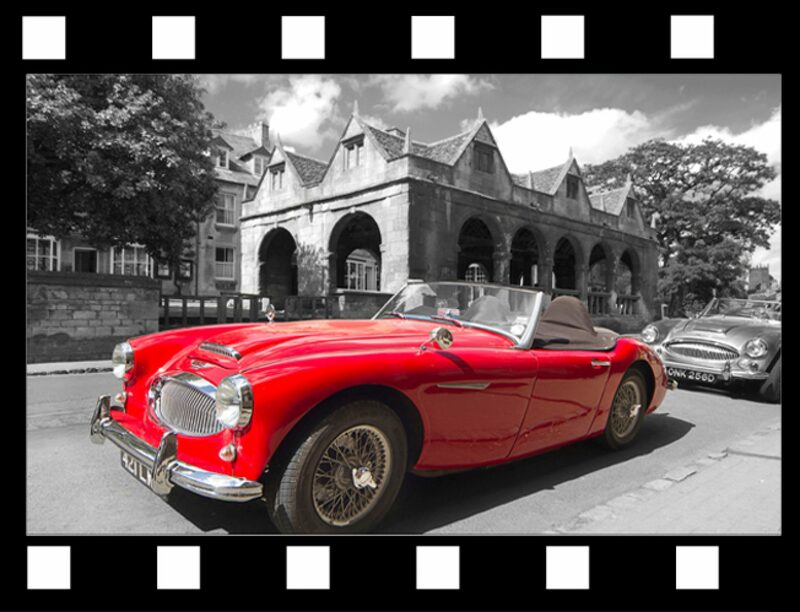 A particular passion and hence the reason why there are proportionally more photographs than of other features and events, is the parade of over 80 vintage cars. It’s very evident that these marvels of motoring history have been lovingly looked after and cherished by their lucky dedicated owners, and its noticeable that some were simply superb, rare (and inevitably extremely expensive) examples of vehicles from a bygone age. 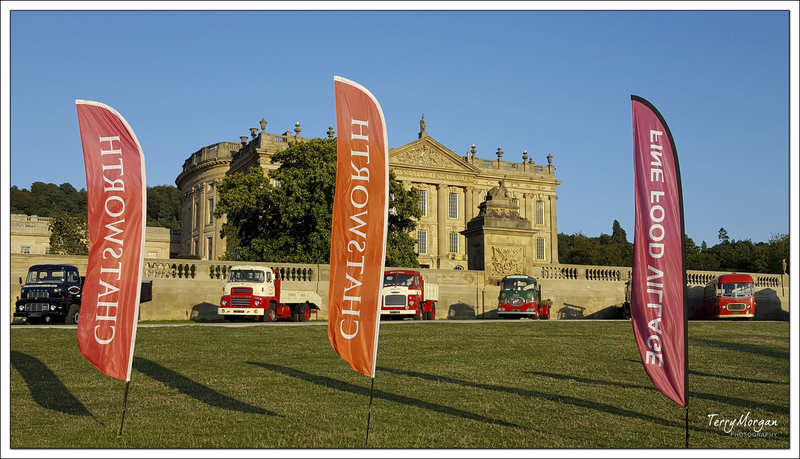 To have such a great and magnificently organised event is such a wonderful setting as Chatsworth makes for a great day (or series of days) out. It also means that it is quite easy to use up a battery or two in your cameras, especially when there a blue sky above. I have posted about Chatsworth before because we are frequent visitors to the Horse Trails in May and enjoy visiting the House and the Estate and that fabulous part of Derbyshire whenever we can. So two things to take from this blog. First, I hope you will enjoy the photographs, provide some feedback and ideally contact me about photographs or photographic work, and secondly, I hope you will be encouraged by this personal and independent recommendation to see the delights of Chatsworth for yourselves. It’s a habit worth forming.